The amount of people opting to release equity from their home, rather than downsize or relocate, reached a record high in the second quarter of 2017, with over-55s withdrawing more than £700m from their homes. That is a 36% increase on a year ago and they highest figure since these records were recorded in 2002, which equates to 16,000 equity releases during the April – June period alone. 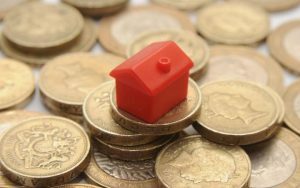 According to the Equity Release Council, housing wealth has become steadily more established as an option for retirement planning since the financial crisis, however, there are a lot of considerations, as well as alternatives to this method of borrowing, and not all financial planners can advise on this heavily regulated area of financial planning. As chartered financial planners, with specialist equity release qualified advisers, The Financial Planning Group have a wealth of experience in this complex area, one that is becoming a significant part of peoples’ retirement planning.